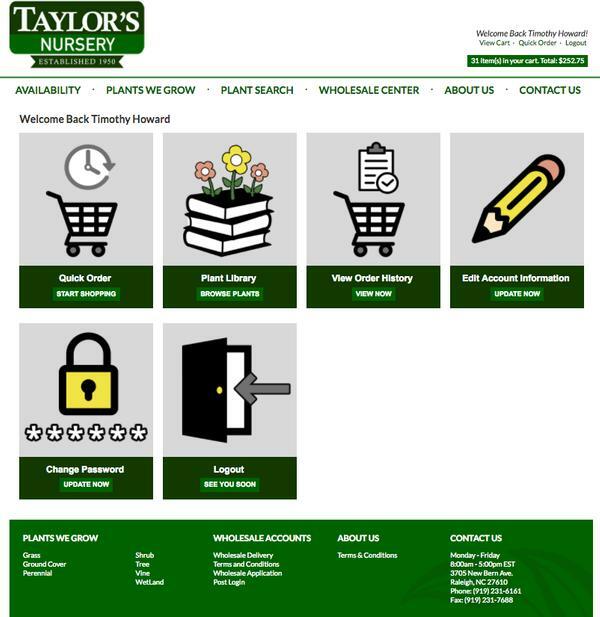 Online ordering is available to wholesale customers after login. 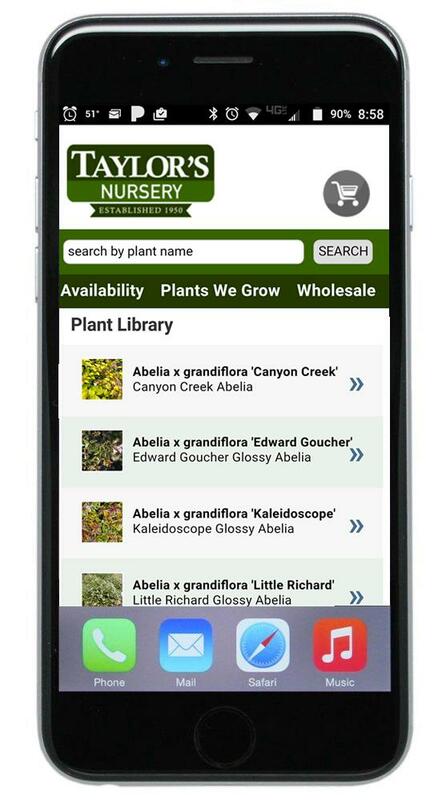 Customers can easily view availability and order from their smart phones. 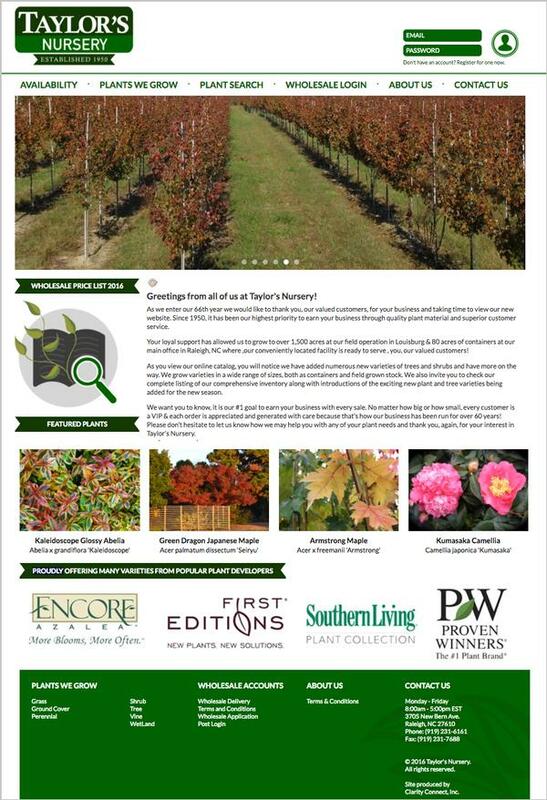 Taylor's Nursery is a wholesale nursery with 1,500 acres at their field operation in Louisburg & 80 acres of containers at their main office in Raleigh, NC.